The American Health Council has proudly appointed Dr. Alessia Fornoni to its prestigious Board of Physicians in recognition of her outstanding contributions. Currently working at the University of Miami as a Director, Chief and Professor, the esteemed doctor has amassed over 23 years of experience and has gained particular expertise in the field of nephrology. Dr. Fornoni originated from a small town in Italy, where she was raised among farmers. Recognizing her potential and desire to become a doctor, she was offered a fully paid tuition for medical school by her repeat customers. This was a monumental achievement, as she was the first person in her family, and the first woman from her village to go to medical school in 600 years of history. 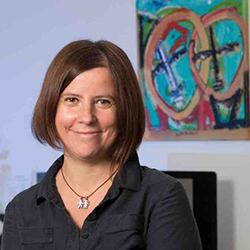 Dr. Fornoni began her academic studies at the University of Pavia, Italy, where she graduated with her MD in 1995 and her PhD in 2000, focusing on the field of nephrology. Dr. Fornoni has been working in the faculty at the University of Miami since 2005. For the past four years, her roles have included Chief, Katz Family Division of Nephrology and Hypertension (16 faculty members), Director, Peggy and Harold Katz Family Drug Discovery Center, Associate Director of the MSTP program and Co-Director of the CTSI. 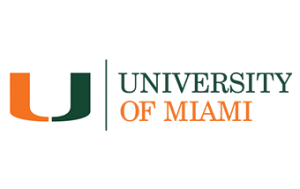 The University of Miami is a private research university that boasts a vibrant and diverse academic community, with more than 16,000 students from around the world, focused on teaching and learning, the discovery of new knowledge, and service to the South Florida region and beyond. The University comprises 11 schools and colleges serving undergraduate and graduate students in more than 180 majors and programs. In 2016, U.S. News & World Report ranked UM No. 44 among the top national universities in the country in its “Best Colleges” listings. U.S. News also cites several of its programs in “America’s Best Graduate Schools.” Established in 1925 during the region’s famous real estate boom, the university is a major research university engaged in $324 million in research and sponsored program expenditures annually. While the majority of this work is housed at the Miller School of Medicine, investigators conduct hundreds of studies in other areas, including marine science, engineering, education, and psychology. On a daily basis, Dr. Fornoni can be found teaching medical students and mentoring several graduate students, post-doctoral fellows and junior faculty members. In addition, she conducts research and her discoveries are now translating into clinical trials. She sees patients in both the inpatient and outpatient setting at multiple hospitals. Many people travel specifically to see Dr. Fornoni and she proudly oversees the care of a growing number of international patients. Dr. Fornoni is extremely proud of her professional accomplishments, which include the discovery of new drugs being developed for the cure of chronic kidney disease. Her groundbreaking research is being marketed worldwide and her work has been featured in over a hundred publications. Furthermore in 2016, the esteemed doctor was the recipient of the Chicago Award and the ASCI Award, Chicago. Keen to remain up to date with the latest industry developments, Dr. Fornoni is an active member of a number of professional associations including the American Society of Clinical Investigators, ASN, ISN, FSN, ASCI. her tenacity, resilience, and hard work. She also cites her two wonderful children as her greatest achievements. In the years ahead, Dr. Fornoni’s vision is one that brings industry, investors and not-for-profit organizations around the table with the intent to match science with innovation and patients’ motivation to find a cure for kidney diseases. When not busy working, Dr. Fornoni enjoys playing tennis, watching independent movies and spending time outdoors. She is also extremely passionate about charity work and currently dedicates her time to the Nephcure Kidney International Foundation and the Alport Foundation.